At Fairmont Hotels & Resorts, exceptional service and flavours are the hallmarks of every dining experience. As Outlet Supervisor, your passion for guest service and the pride you take in our menu offerings will ensure your Outlet is a preferred dining destination and workplace! 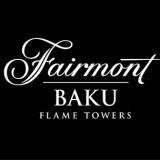 Fairmont Baku, part of the iconic Flame Towers complex, boasts 299 superbly appointed guest rooms, 19 serviced apartments, 7 exquisite dining options, over 2,500 square meters (27,000 square feet) of function space and two ballrooms. With all that it offers, Fairmont Baku the city’s place for distinguished happenings. Be part of our team at the exciting Fairmont Baku! Visa Requirements: Must hold a valid work/residence permit from Azerbaijan. Whether you’re launching your career or seeking meaningful employment, we invite you to visit www.fairmontcareers.com to learn more about Fairmont Hotels & Resorts—and the extraordinary opportunities that exist! At Fairmont Hotels & Resorts we offer our guests the finest hospitality experience in each of our destinations. And we know that, to offer our guests the best, we first need to offer our employees the best. That’s why you’ll find exceptional work opportunities—throughout North America and the Caribbean, Europe and Africa, the Middle East and Asia Pacific—as well as industry-leading training, career development, recognition and rewards. Fairmont Hotels & Resorts is a celebrated collection of hotels that includes landmark locations like London’s The Savoy, New York’s The Plaza, and Shanghai’s Fairmont Peace Hotel. Our teams are guided by values of Respect, Integrity, Teamwork and Empowerment; we employ the highest ethical and quality standards, treating all colleagues with fairness and dignity. A community and environmental leader, Fairmont is also regarded for its responsible tourism practices and award-winning Green Partnership program. An exciting future awaits!